Hi, I’m Wendy and here is my story. 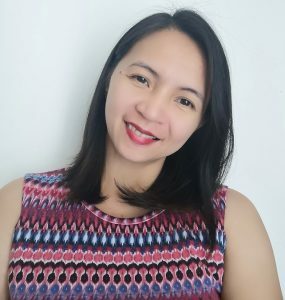 I’m a mother of three and have been working with a BPO company for 9 years. I must admit I envied those wives and mothers that stayed at home to take care of their house and kids. I’d been dreaming of being like them. But as I needed to help my husband with some financial matters it was not really an option to let go of my job. Then one day, a colleague resigned and I heard that she was starting a home based job. At that moment I realised it was time for me to make a change. I told to myself, “if she can do it, so can I”. I started sending applications for home based / remote jobs. I waited for 4 months before someone finally hired me. As a first timer in a virtual world, all I had with me was my eagerness to learn, motivation, inspiration, and the belief that I can be one of the best Virtual Assistants out there. I was hired by an Australian client. The contract was only for six months, and when the time came to say our goodbyes, I was really brokenhearted. We had built a good working relationship… we were a team… we were family. I will be forever thankful and grateful for my first client – they gave me a chance and it was perfect as my first ever VA experience. I know that all the learning, lessons and strategies will stay with me and I will apply them to assist my future clients. For those six months, I was always excited to log in and work. My daily routine was to be ready 15 minutes before my log in time, set up my computer and check the emails and log sheets. I tested and tried all the tools before using them and doing the tasks that were assigned to me. Once tasks were all completed, I updated the log sheet, informed my supervisor and sent the end of day report. Working as a VA taught me to be self reliant. I invested time to read, research and double check all the previous tasks that I’d completed to continue to learn from them. I found myself growing, accomplishing more tasks and improving every day. I never stop learning. I believe that learning is continuous – a work in progress. I’m passionate about giving my best in every task, because my success is my client’s success. I always bear in mind how important time is for each and every one of us. This is why my motto is “Do it right the first time”. Being a VA is a very challenging job – yet the best job for me. The convenience of working from home means you get to do your job and build a career while having the luxury of being close to your loved ones. What else can you ask for? I’m a VA for life! For a copy of Wendy’s resume please click here.